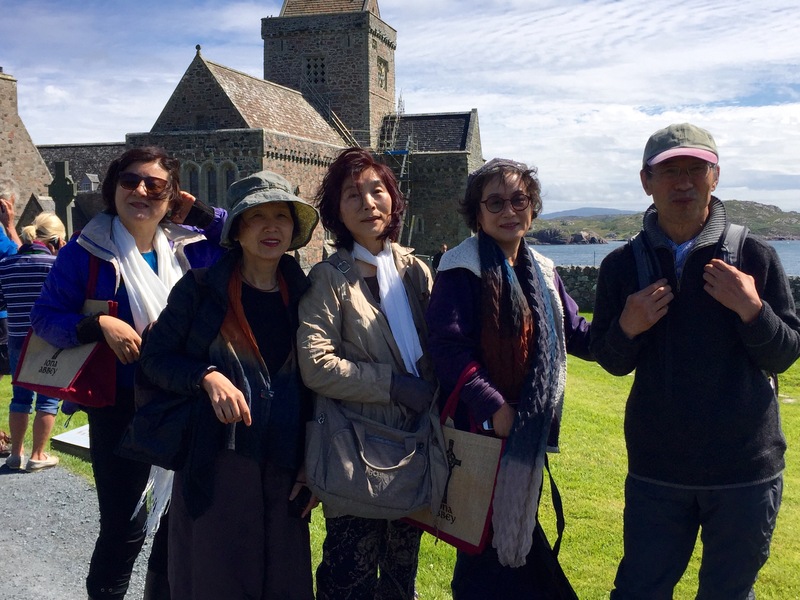 The first group is from Korea, and they have already spent a week at Findhorn, attending a week of Sacred Music and Dance. And here they are staying at the Findhorn house on Iona, just up the coast from the Abbey. They sat across from us in the Abbey. The children are here at St. Columba’s for lunch, maybe staying here. Looks like one family, also brought their dog, being photographed by their dad. 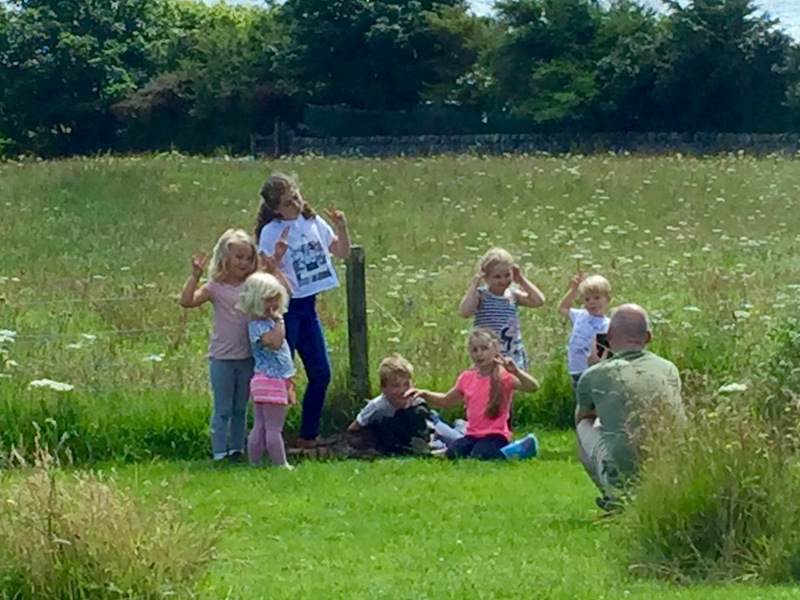 Lovely to see them running around outside – it’s a beautiful day here! 24 Jul	This entry was published on July 24, 2016 at 12:42 pm and is filed under Uncategorized. Bookmark the permalink. Follow any comments here with the RSS feed for this post.